World’s first Integrated 100 KV powder spray gun specially designed for Fusion Bonded Epoxy (FBE) powder coating for the pipe line industry. 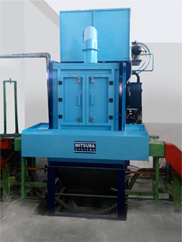 Mitsuba is a pioneer in the manufacture and supply of rebar powder coating equipment to coat fusion bonded epoxy powder for reinforcing bars(TMT). FBE coated rebars have better corrosion resistance and high flexibility which allows the bar to be bent without damaging the coating. 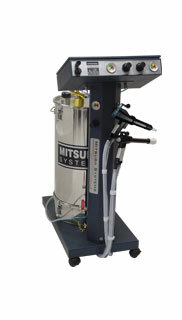 Mitsuba offers a unique powder coating gun for PTFE, Nylon, ECTFE and PFA powders. As these powders have their own coating challenges and charging characteristics, a regular powder coating gun will not deliver the optimum results. Designed to spray a fluorescent dye to the surface of an object to check for any defects that may compromise the quality or integrity of the part. 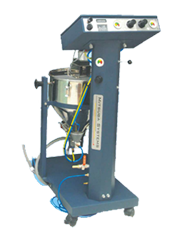 Designed to spray a thin film of electro statically charged boron nitride powder to facilitate a smooth extrusion process for aluminium. 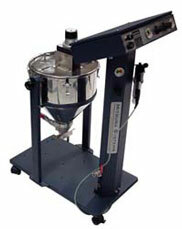 This results in a reduction of defects usually found when using conventional lubricants. Mitsuba offer a compact, clean and automatic system to electrostatically spray-recover-reuse Chalk/Talc powder on green tyres. Save powder, labour and eliminate rejection.